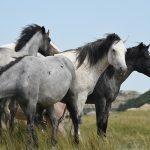 Many of our clients have been using the anti-inflammatory drug Previcox for their horses in order to help relieve the mild pain and lameness associated with osteoarthritis. You may or may not know that Previcox has always been labeled as a medication for use in dogs. 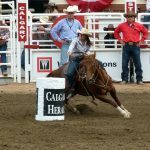 With its convenient tablet form it was more user friendly (and just as efficacious) than the equine-approved sister product, Equioxx paste, and since there was not a ‘comparable’ horse form of Previcox, we were able to legally recommend it for our equine patients. This situation has now changed. 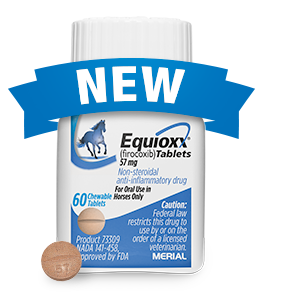 Recently, Equioxx has become available in tablet form, which means we are now legally required to prescribe Equioxx for use in horses, instead of Previcox. Please understand that this is not a choice we have in your horse’s health. Your next refill of Previcox will come as an Equioxx order. Please give us a call or email if you have any questions regarding these changes, or dosing for your horse.